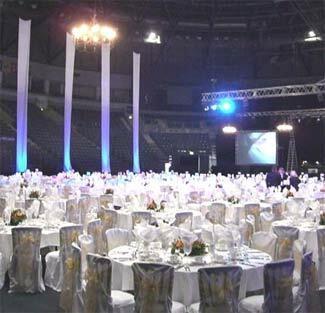 On Saturday 24th March the band had a wonderful opportunity to play at the flagship Belfast Odyssey Arena. 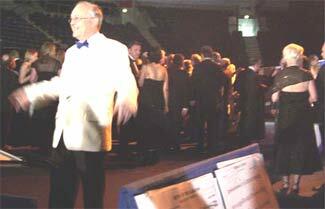 The invite to play came from the Federation of Small Businesses which hosted their 2007 annual conference for the first time in Northern Ireland. 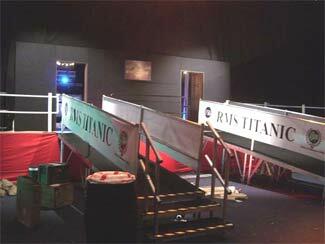 The main arena had been given a Titanic theme complete with gangway and quayside where the delegates boarded and were led to an opulent dining area where a gala black tie dinner was held. The band played a selection of music, some with a nautical theme, as the 800 delegates enjoyed pre dinner drinks.